Undoubtedly, Mizoram is one of the most beautiful states in India and is known for its highest concentration of tribal people. However, the major thing about Mizoram, which is unknown to many travellers and tourists, is that it houses innumerable tourist spots under all categories. Ranging from hills to valleys, rivers to lakes and temples to churches, it hosts everything to satisfy the wanderlust of a traveller. Despite being such an amazing state, it remains unexplored. Lunglei is one amongst the few places in the state which shouldn't be ignored and must be visited on your first visit to Mizoram. 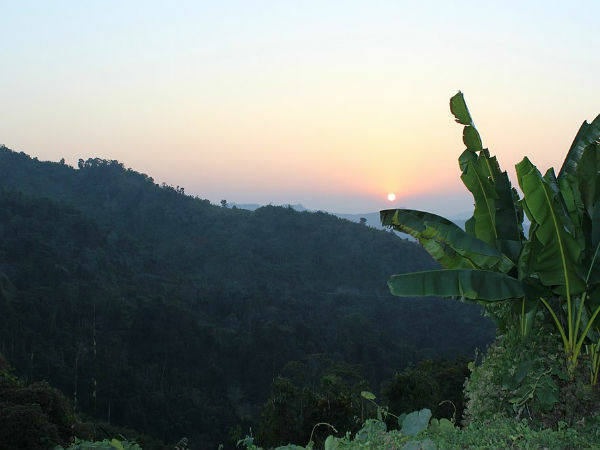 So, what do you think of a trip to Lunglei in Mizoram and creating a few everlasting memories? Located at an average elevation, Lunglei experiences a moderate type of climate and hence, the temperature remains bearable throughout the year, thereby, making it a year-round destination. However, if you are looking to enjoy the best of natural beauty of the town, then the best time to visit Lunglei is from September to the end of April. Lunglei is a small town settled atop green hills and is surrounded by lush vegetation in the form of forests and grasslands. It is one of the major commercial and political centres in the state of Mizoram. However, it is more popular for its beautiful surroundings and scenic beauty. Blessed with everything that nature has to offer, Lunglei is certainly a place which shouldn't be missed by any tourist, especially an offbeat traveller. As the region is not famous amongst common tourists, you can feel the essence of uncrowded atmosphere filled with tranquillity within its boundaries. Lunglei also boasts of its ancient culture and traditions. When you are getting such an amazing destination amid calmness and seclusion, then why not start planning a trip to Lunglei this season? Apart from photographing the scenic beauty of Lunglei and exploring its ancient culture and traditions by mingling with the locals, you can also enjoy the opportunities of trekking up its hills and camping on its grasslands. The major tourist sites here include Thorangtlang Wildlife Sanctuary, Saikuti Hall, Nghasih Stream and Lungeli Bridge. You can also visit its newly-built BCM Church, which is known for beautiful location and peaceful surroundings. So, what do you think of this beautiful town now? By Air: Lunglei is not well connected to other major cities by air. Hence, you need to take a flight to Aizawl Airport, which is located at a distance of around 200 km from Lunglei. From the airport, you can either hire a taxi or catch a direct bus to Lunglei. By Rail: The nearby major railway station from Lunglei is located at Silchar at a distance of around 340 km. Once you have reached the Silchar railway station, you can either hire a cab or take bus to Lunglei. By Road: Located at a road distance of about 170 km from the capital city of Aizawl, Lunglei is easily accessible by road.